May 14, 2015 (Nashville, TN) – Congratulations to VMware and the Global Partner Marketing team, led by Sr. Director Chandra DuFrene, for winning the SiriusDecisions ROI Award at the 2015 SiriusDecisions Summit. 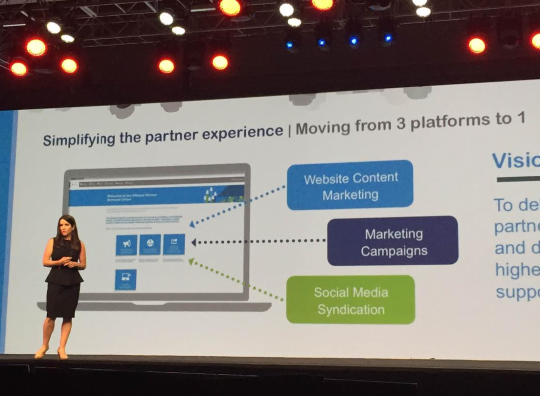 Another key objective of Chandra’s and VMware’s successful program was to simplify the partner marketing experience by consolidating multiple disjointed marketing tools to one partner marketing automation platform. There had been one system providing a library, one providing email marketing, and one offering social marketing, and these tools were replaced with one integrated platform, StructuredWeb, to offer a better partner experience and a more scalable approach to partner marketing. 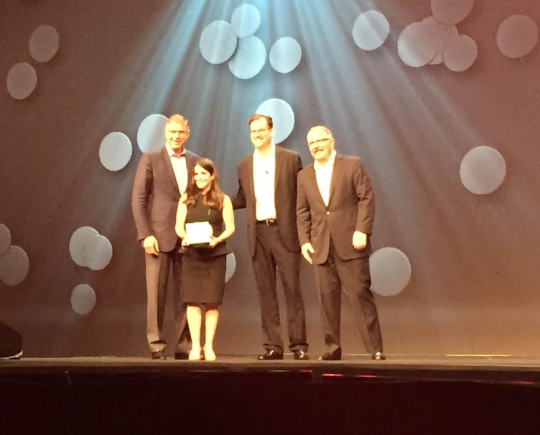 Once again, congratulations to Chandra DuFrene and the entire VMware Global Partner Marketing team! Next Next post: Explore the impact of data across every industry and every sector.